We bring forth the impeccable Scatec Laser Copy Counter for our valued clients. Designed to perfection, these products are based on the industry laid parameters, signifying their high standards. Our products are at the apex of demands owing to their attributes such as long lasting, easy to use and efficiency. To cater to the diversified requirements of the clients, we offer these products in different specifications. These products are further tested for better functionality. We are one of the leading organization engaged in offering the best range of Scatec Laser Copy Counter. Made of premium quality required basic material incorporating effective techniques, these products adhere to the established parameters of the industry. Designed to impeccability, these products are in compliance with the defined parameters of the industry. 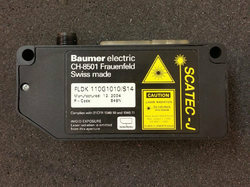 Looking for Scatec Laser Copy Counter ?